Speculations suggest that Suzuki DR Big is under development. It might be launched by 2020 and will be placed above V-Strom 1000. 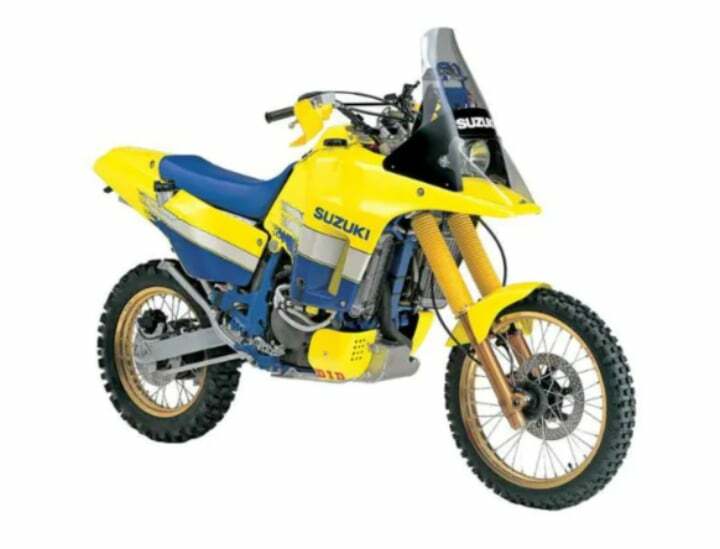 Suzuki Motorcycles Global is reportedly planning to revive the DR Big ADV motorcycle soon. The new bike will be more off-road capable than the V-Strom 1000. An nternational news source has confirmed this development. If the rumours are true, Suzuki DR Big is expected to debut in the markets mostly by 2020. The upcoming ADV will be based on the V-Strom 1000, but will adapt a completely different styling altogether. We expect it to be placed higher than the V-Strom in the lineup. Originally, Suzuki DR Big was a popular ADV in in the 1980s. It came with the typical dirt bike looks, which has further inspired many ADVs. At that time, it came with a 727cc single-cylinder engine that put out 52 BHP. Later, the bike was discontinued in 1990. However, it paved way for the modern adventure bikes which come in twin-cylinders and loads of electronic aid. The report further states that Suzuki DR Big might use V-Strom’s 1000cc engine, producing 100 BHP. It will get a 21-inch spoked wheel at the front and an 18-inch at the back. The ground clearance will be higher than V-Strom. For better off-road capabilities, it will get long travel suspension, engine belly pan, high positioned exhaust muffler for water wading and a comfortable cushioned seat. Modern technology aboard will include switchable dual-ABS, different riding modes, electronically adjustable suspension, traction control and much more. If this bike launches, it will compete with the likes of Triumph Tiger 1200, BMW R 1250 GS and Ducati Multistrada 1260. All these are premium motorcycles priced above Rs 15 Lakhs. Now comes the main question, will Suzuki maintain the original styling of DR Big or will it adapt to the modern fits and finishes?